We are celebrating 10 years of funky music. 10 years of cool house music. 10 years of an unique podcast. 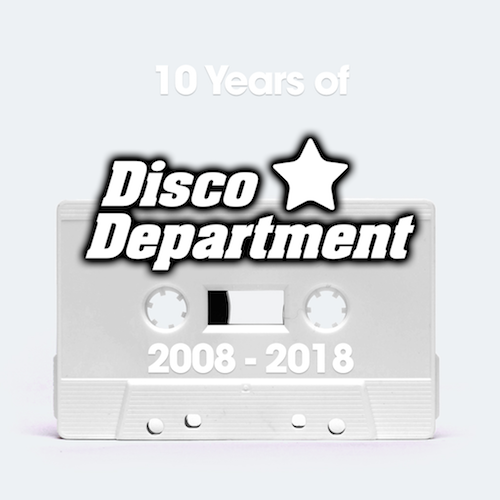 10 years of Disco Department. When we started in 2008, we thought that real house music had disappeared into the depths of space. At that time there was almost only electro, the funky disco time seemed to be over. With the Disco Department we wanted to keep the memory alive. Now, 2018 we are experiencing a renaissance of this music. House, disco, funk. Melody and groove are coming back to the clubs. We are so happy about that! And what will you expect in the next 10 years? Be curious … We have many new ideas and concepts. New music, new events, new stuff.